Lancashire was one of the cradles of the Industrial Revolution, the most important series of events since Man's discovery of agriculture some 10,000 years ago. The County is now a treasure house of fascinating remains which are tangible evidence of that century-long upheaval which completely transformed the economy and society, first of this country and then of every country in the developed world. The Industrial Revolution closed the door on a world of small, static, rural communities, a world based on natural materials, like wood and leather, and on natural sources of power. In little more than a man's lifetime it created what has become the Great Britain we know - a country where four fifths of us live in towns, where two thirds of us depend in some way for our livelihood on factory-based industry and transport using mineral fuels, and where there are about eight times more people than there were 200 years ago. 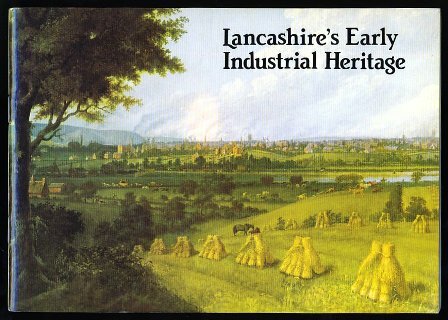 This booklet - the first in a series - is neither a gazetteer, nor a guide to those buildings and machines which are the most easily inspected parts of Lancashire's early industrial heritage. It is, rather, an attempt to explain their existence and their significance by telling the story of the Industrial Revolution between the approximate dates of 1750 and 1850 and within the present boundaries of the County of Lancashire. The story begins and ends with textiles, because developments in that industry underlay changes in most other industries. As the leading cotton manufacturers sought to increase production to meet a growing demand, they not merely pioneered the introduction of new machinery and new methods of organising production in factories; they also encouraged the improvements in transport, in mining and in building which transformed the County's villages into towns and created the Victorian Lancashire which Dickens caricatured in his description of Coketown. No-one would have the stamina, and few people would have the all-embracing interest, to undertake a journey leading to all the main features of Lancashire's industrial heritage - even supposing that a suitable route could be devised. What we have done instead is to provide a map, and also National Grid references (within brackets) for the more important and easily visible sites mentioned - all of Lancashire is in square SD. We hope that this will make it easier for you to visit what interests you most.